Play hard. Make an impact. Have fun doing it. Best restaurant/favorite meal in DC? Maryland blue crab at The Dabney. I studied classical piano for 10 years. 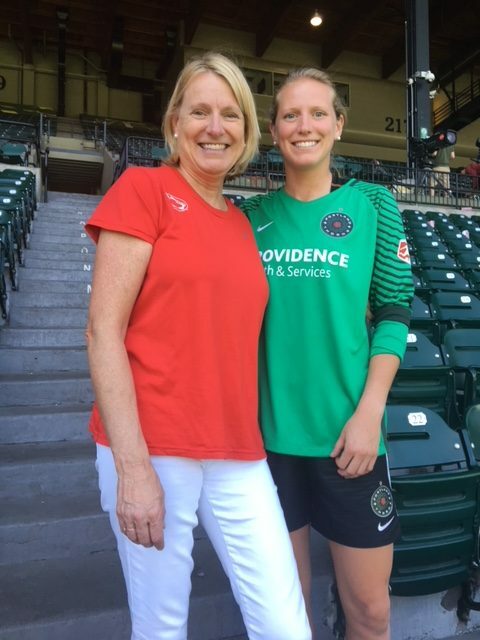 I'm a passionate fan and supporter of women's professional soccer -- a love that began long before my daughter Britt became a goalkeeper in the National Women's Soccer league, where she plays for the Portland Thorns. Watch a game on the Lifetime network and you'll see how amazing--and tough-- women athletes can be. Behind the scenes at Fashion Week for The Heart Truth/Red Dress campaign.